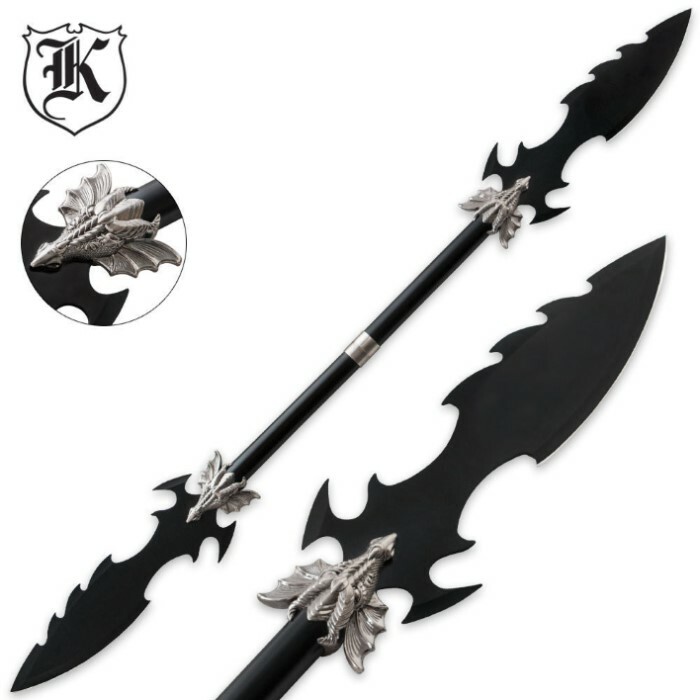 "This Dueling Dragons Double Blade spear features two 13" fantasy-style blades with razor-sharp edges. 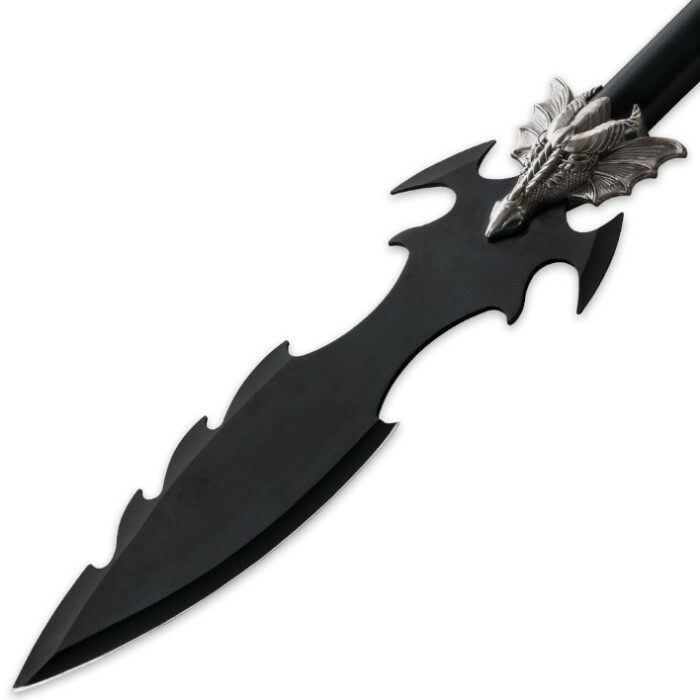 The blades are constructed of 420 stainless steel with a black finish and silver accents. You can even separate the shaft to get two independent smaller spears. Kept together at its full length, this spear measures 48" in length.